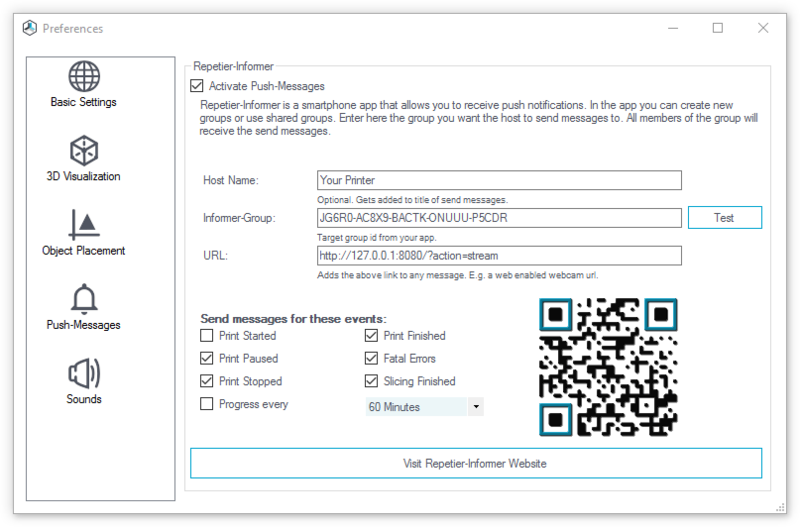 The aim of this app is to receive important push-messages on your smartphone or tablet from software running on an internet connected computer, e.g. Repetier-Server or Repetier-Host. The software sents all messages to defined groups. All members of a group receive the same message, so that you can receive your the messages on your smartphone and on your tablet. 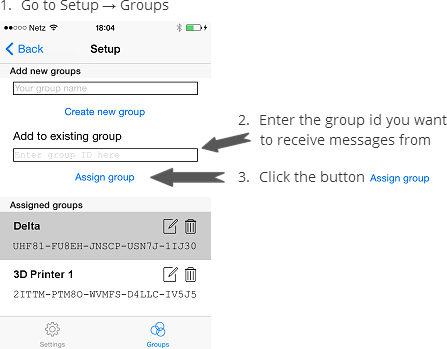 Your App can be a member of multiple groups. A group is a uniquely named id, which is shared between the sender and one or more receivers. In the software, that sends the message, the corresponding group must be specified. If you get the error "Unknown devide" when generating a new group or adding to an existing group, please uninstall the app completely and reinstall it. The device ID is generated once during installation. Enter your Host Name. This gets added to the title of the send messages. 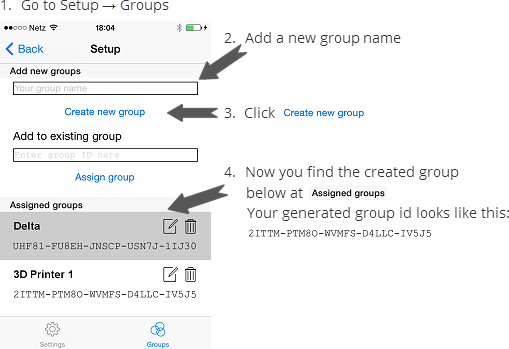 Enter your group id you created here as Informer-Group. 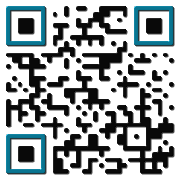 Click on the test button to send a push-message to all members of the group. For other programs it will be similar. 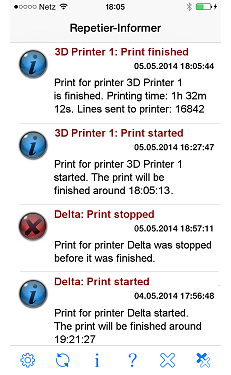 Repetier-Server supports Repetier-Informer app since version 0.50. 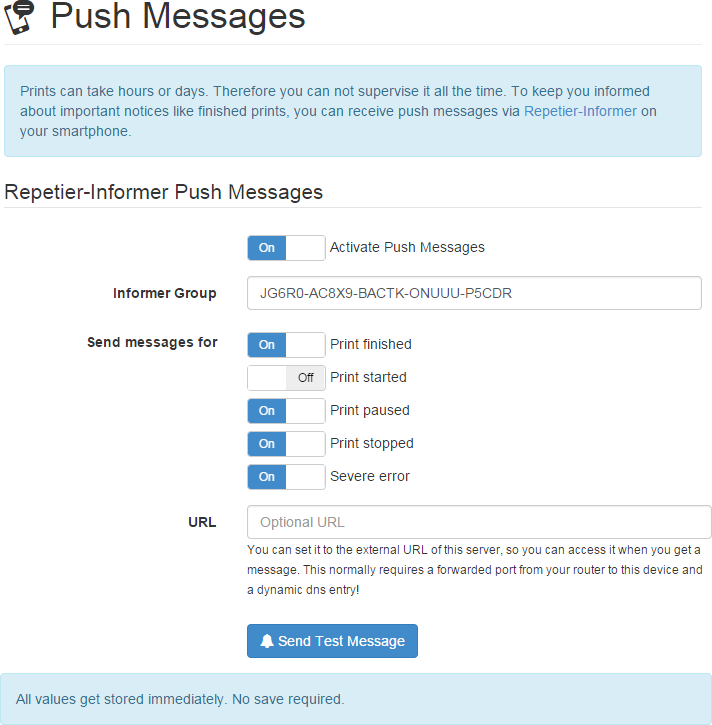 Set "Activate Push-Messages" to on. Enter your group id you created here as Informer Group.